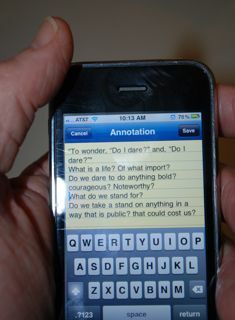 Whether reading with a laptop, a Kindle, an iPad or a book printed on paper, knowtation is an powerful way to grasp the meaning of the text. The secret to the powerful use of laptops for writing and thinking is an understanding of incubation, percolation, fermentation, reverie and idea processing. 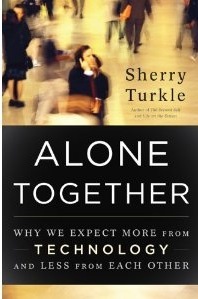 Sherry Turkle's latest book points to important relationship challenges posed by the widespread use of new technologies. This new book will begin shipping in the Fall of 2011. If you place your advance order and pay now, you qualify for a 25% discount.